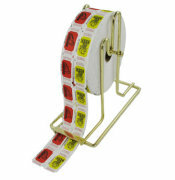 We offer a wide selection of Coat Check Tags! 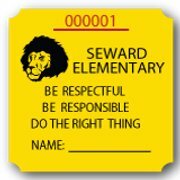 Elementary and High School Behavior Improvement Tickets. 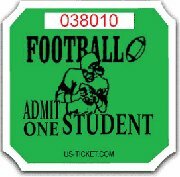 Football, Hockey, Basketball, Adult, Student Admission Tickets! 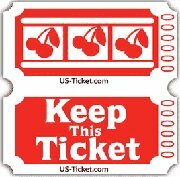 Double Raffle tickets in a variety of colors, styles, and sizes! We offer an extensive selection of both stock and custom roll tickets! 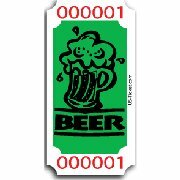 Bar tickets, Beer Tickets, Drink Tickets and Denomination Tickets. Our Tyvek Wristbands are waterproof and non-rippable. Professional raffle drums for your events.